YOU will be ruled with brutality. If you don't answer your phone, you'll cop a beating. These are among the rules of a secret gang that allegedly formed on the Gold Coast to take over the Beenleigh chapter of the Rebels bikie club. Alleged strict codes of conduct including compulsory attendance at "church" nights, weekly membership dues, leaving fees, requirements to sell drugs, as well as systemic bashings, were laid bare this week in an explosive court hearing in Brisbane. 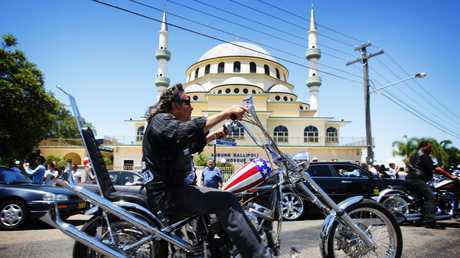 "Church" is a common bikie gang term for club meeting, made famous by popular TV show Sons of Anarchy. Matthew Grant Lambert, Robert Jamie Sorbello and Ian Robert Crowden were this week committed to stand trial in the Brisbane Supreme Court over offences including alleged drug trafficking and shocking assaults. They are also alleged to have bashed former gang member and drug trafficker, Shannon Arnold with a hammer after he provided a statement to police about an assault at a Gold Coast nightclub where he worked as a bouncer. 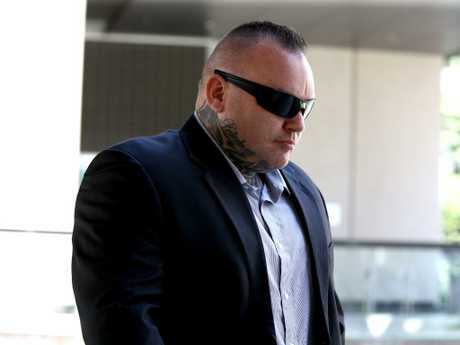 The Brisbane Magistrates Court heard the gang was allegedly run by Crowden, who is accused of dishing out public bashings for members did complete club business, allegedly telling one man: "I know 1000 ways to kill someone" before bashing him until he was "unrecognisable". The gang is also alleged to have trafficked MDMA at nightclubs on the Glitter Strip, the court heard. Crowden is charged with a raft of offences including extortion, grievous bodily harm, assault, torture, arson, intimidation, participating in a criminal organisation, threatening violence and drug trafficking. Lambert faces charges including robbery, arson, grievous bodily harm, receiving property, intimidation and trafficking dangerous drugs. Sorbello has been charged with grievous bodily harm, extortion and intimidation. All three were charged under controversial VLAD anti-bikie laws, but Sorbello had this circumstance of aggravation dropped at the hearing. The court heard the gang was a "brutal dictatorship". ■ Gang members to sell 100 MDMA pills per week at nightclubs. ■ Meetings known as "church nights" where club discussed criminal activity. Attendance ledger kept at "church nights", recorded if they owed money to gang. ■ Bikie terminology used to establish rank: Terms such as president, vice-president, treasurer, noms and sergeant-at-arms. ■ Members must ride a Harley Davidson motorbike. ■ Must answer phones when summoned. ■ Violence used to intimidate conform and obey. Stepping out of line to be met with 'brutality'. ■ Death threats made if those who left gang did not pay. ■ Leaving group would result in a fine of $200,000, confiscation of property and bashings. ■ Club to take 10 per cent of profit from drug trafficking. Alex Vella the former high-profile national president of the Rebels. Members were allegedly forced to peddle 100 of pills per week, were allegedly told the keep the group secret and that the only way to leave was "on a tomb stone". Star witness Jordan Brandy gave evidence he fled the group to the ACTy, telling only his girlfriend and his housemate he was leaving. In his evidence, Brandy re-told a speech allegedly made to the group by Crowden. "These are the rules: You have to pay $100 a week at dinner to the club, these are your dues … you have to have a Harley (Davidson), you have to go out and earn for the club," Crowden is alleged to have said. "This club is all about money and you will be ruled with brutality. It is a dictatorship, you have to answer your phone. If you don't answer it the first time you get a second chance, if you don't ring back after five minutes you will get a beating. "I'm starting up a chapter with the Rebels. "I'm going with them because they have the power in numbers. I have the blessing of Alex Vella. "If I get 15 boys together we'll be given the Beenleigh chapter of the Rebels." Vella is the former high-profile national president of the Rebels. 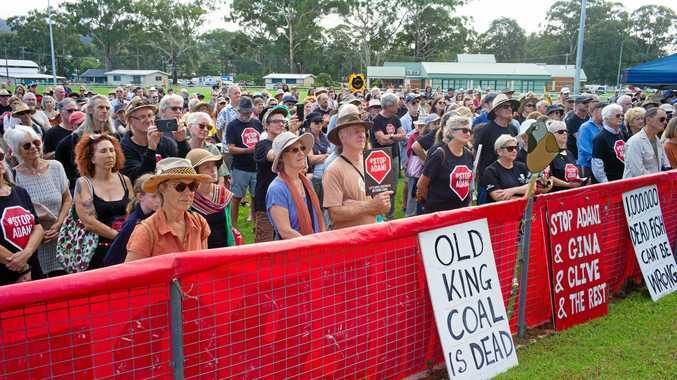 The group were also told they would have to pay $200,000 to leave the club, the court was told. The men are alleged to have been involved in an assault of a man named Paul Holden at a Sunshine Coast timber mill in December 2014, where Crowden is accused of offering to shake the man's hand before punching him with a "right hook". "… Ian (Crowden) dragged him from under the earth mover and continued to assault him while he was on the ground," Brandy told court. "He pulled him out, grabbed a piece of timber from the ground, hit him over the head with it at least two or three times. He hit him with it hard enough that it broke the timber in half and then he grabbed another piece of timber … he hit him with it like an axe repeatedly, I lost count of how many times he hit him." The court heard of other brutal bashings against members including Arnold, who was allegedly bashed by the group after speaking to police about an incident the Alive Nightclub, where he worked. 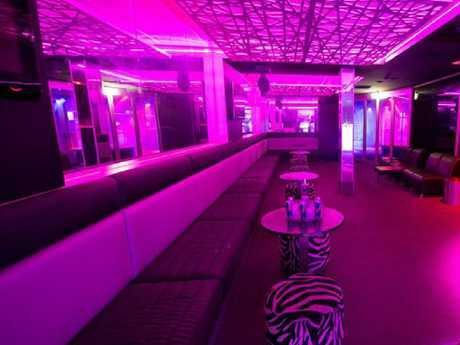 Alive Nightclub in Surfers Paradise. The court heard the "wild attack" saw Arnold set on by several men and had his hand broken by a hammer. "Smash the hand that wrote the (police) statement was the idea behind it," one witness told the court. During the committal hearing, lawyers for Lambert and Sorbello argued the pair "didn't have a choice in joining" the club. They claimed they were told: "We're just a group of blokes that like to ride motorbikes". In committing the matter to trial, Magistrate Belinda Merrin said "the evidence clearly established an association existed". "People were asked to join … there were rules and terms required of members of the group," she said. "… The affairs were the taking over of the Beenleigh Chapter of the Rebels outlaw motorcycle gang and secondly, to make money. This was achieved by the unlawful trafficking in MDMA. "Thirdly, that the affairs were the intimidation and violence toward others and to those within the group." The matter will be listed for trial at a later date.